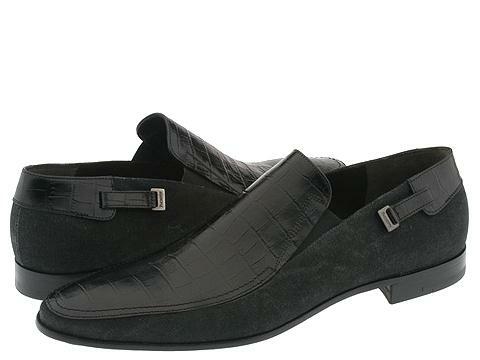 Sporty and stylish, these loafers are a must have. Croc printed leather and canvas upper. Goring on both sides for easy on/off. Metal logo side detail. Leather lined. Leather sole.